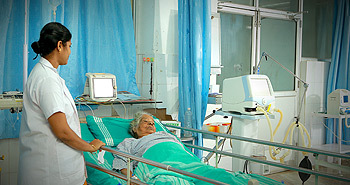 Dr. Somervell Memorial Medical College and Hospital is managed by South Kerala Medical Mission (SKMM) that comes under South Kerala Diocese. The main objective of the Medical Mission is to provide better healthcare facilities to the people below poverty line in and around Trivandrum and Kanyakumari districts. The administrative responsibilities are handled by the Medical Board and a Secretary appointed by the Executive Committee of SKMM. The Medical Board and the Medical College Governing Board are two committees constituted under the South Kerala Medical Mission. The Medical Mission’s affairs are managed by a Executive Committee. The present management consists of the following members.